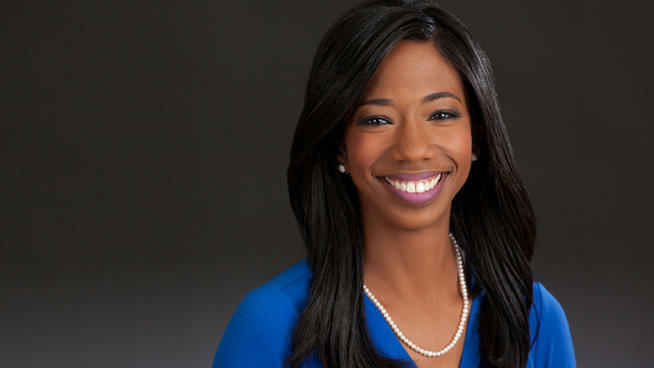 Kristin Wright is a general assignment reporter for News4. She joined the station in 2013. Wright’s journalism career began as a news writer at WDIV, the NBC affiliate in Detroit. She left Michigan to anchor the morning news at WIVT/WBGH in Binghamton, New York. Later, Wright anchored the weekend news at WHTM, the ABC station in Harrisburg, Pennsylvania, and at WTVT, the FOX-owned station in Tampa. Kristin received an Emmy nomination for Best Feature. She has also been honored by the National Association of Black Journalists, the Associated Press, and the American Literacy Corporation for her volunteer work. Kristin is a Detroit native and has a political science degree from University of Michigan. She lives in Montgomery County, Maryland with her husband and daughter.